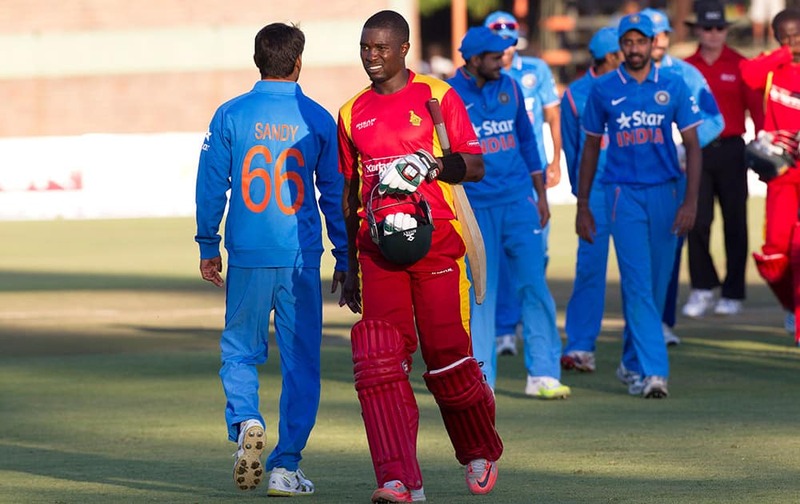 Zimbabwean cricket captain Elton Chigumbura, walks off the pitch after losing to India in their One Day International in Harare, Zimbabwe. 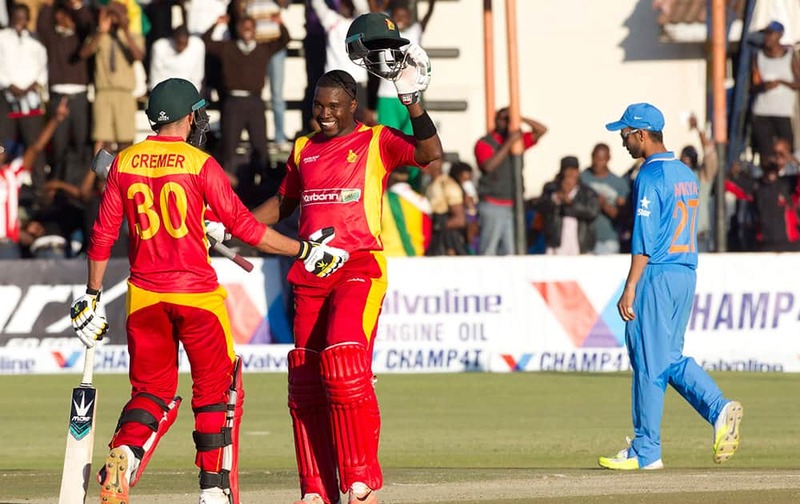 Zimbabwean captain Elton Chigumbura, centre, celebrates with fellow batsman Graeme Cremer after scoring 100 runs during the One Day International against India in Harare, Zimbabwe. 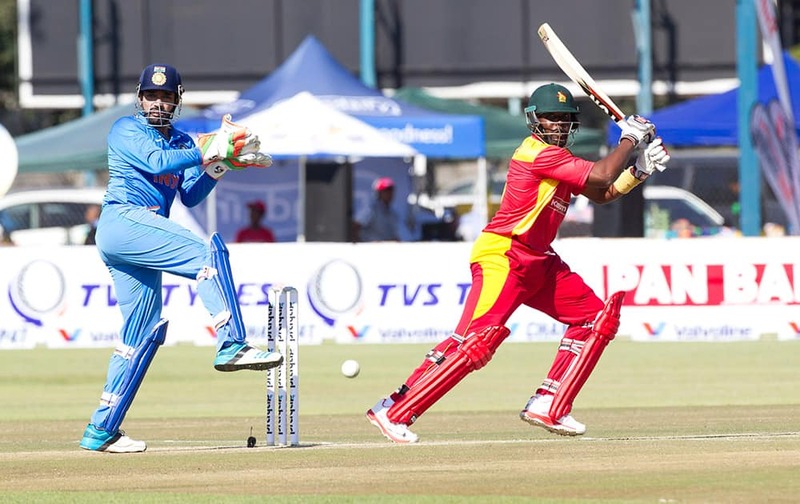 Zimbabwean batsman Hamilton Masakadza, right, plays a shot as Indian wicketkeeper Robin Utappa reacts during the One Day International against Zimbabwe in Harare, Zimbabwe. 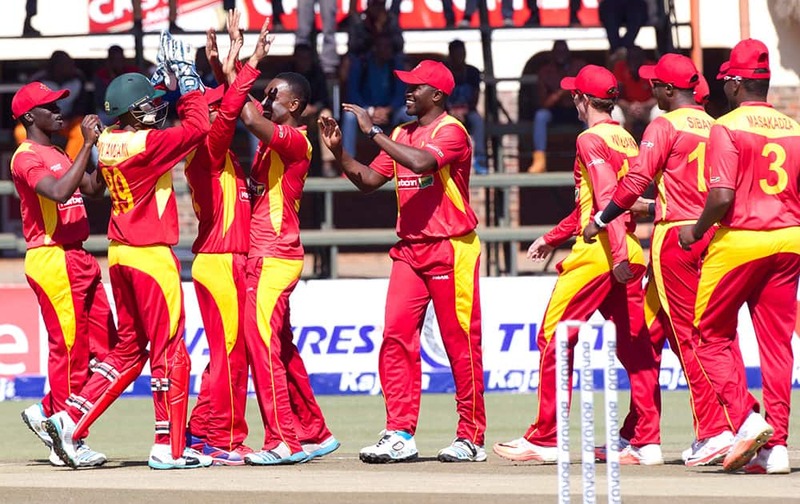 Players celebrate after dismissing Zimbabwean batsman Chamunorwa Chibhabha, during the One Day International against Zimbabwe in Harare, Zimbabwe. 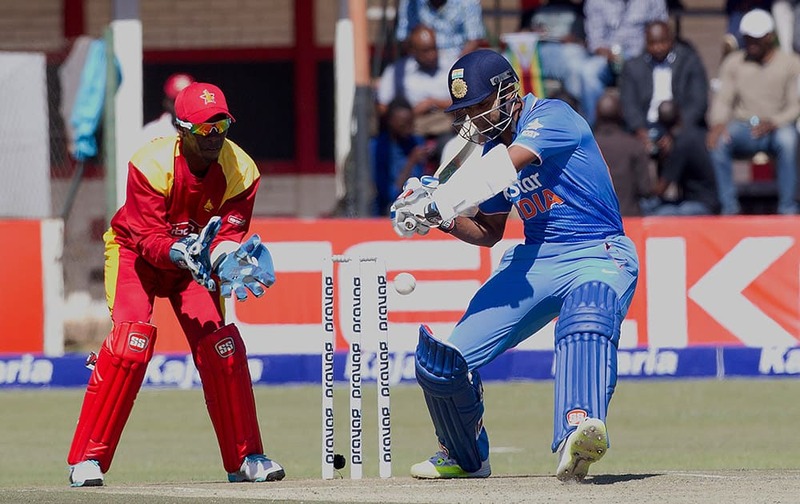 Zimbabwean batsman Hamilton Masakadza, right, plays a shot as Indian wicketkeeper Robin Utappa reacts during the One Day International in Harare, Zimbabwe. 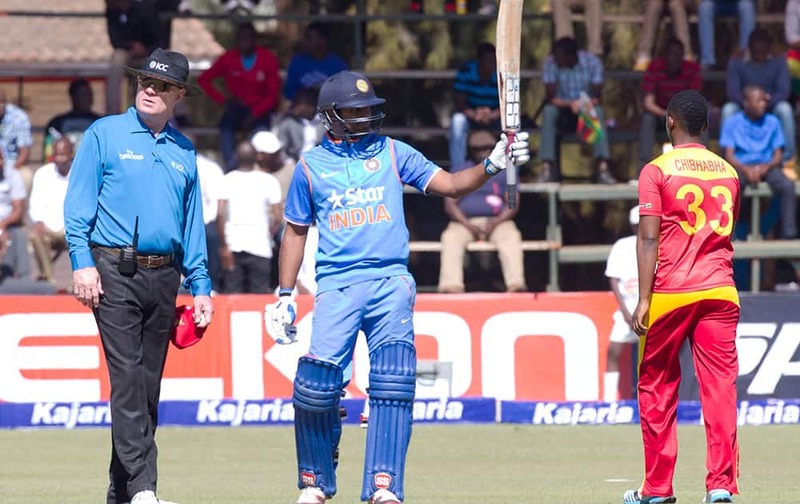 Ambati Rayudu celebrates after scoring 100 runs during the One Day International against Zimbabwe in Harare. 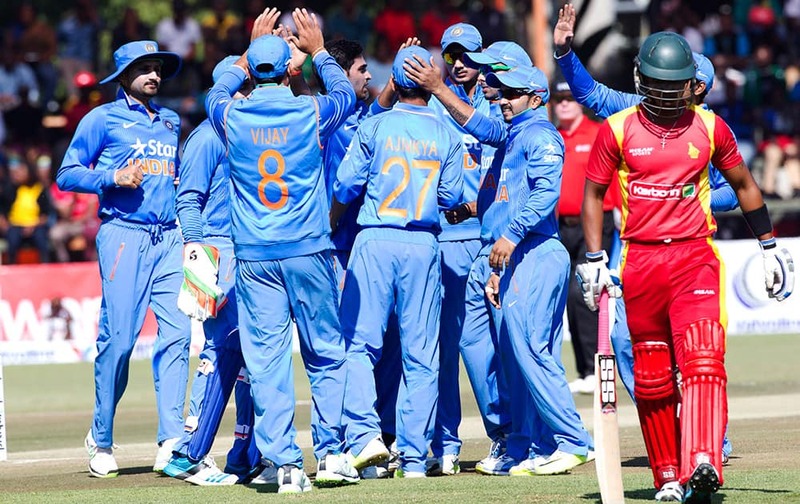 Zimbabwean players celebrate the wicket of Indian batsman Kedar Jadhav after he was caught behind during the One Day International between the two teams in Harare, Zimbabwe. 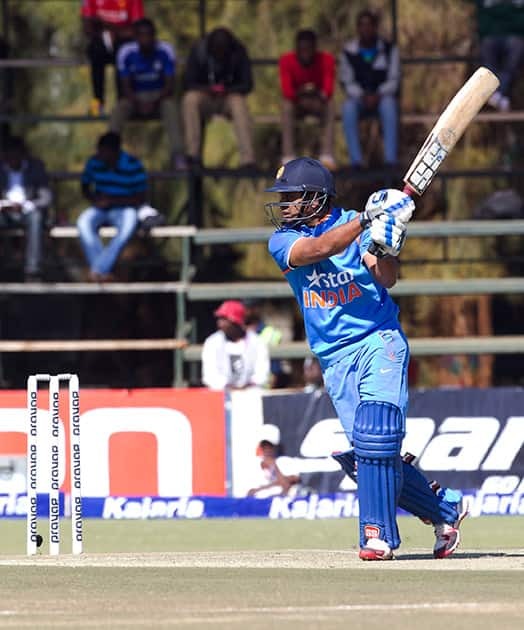 Stuart Binny plays a shot during the One Day International against Zimbabwe in Harare. 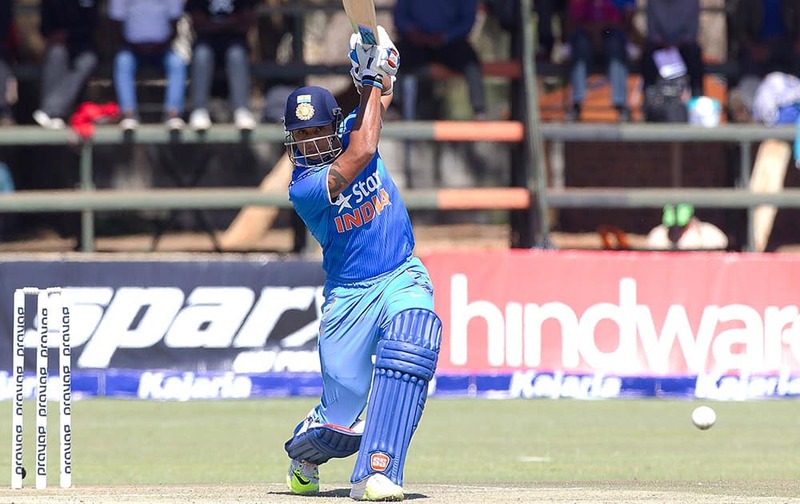 Ambati Rayudu plays a shot during the first One Day International against Zimbabwe in Harare. 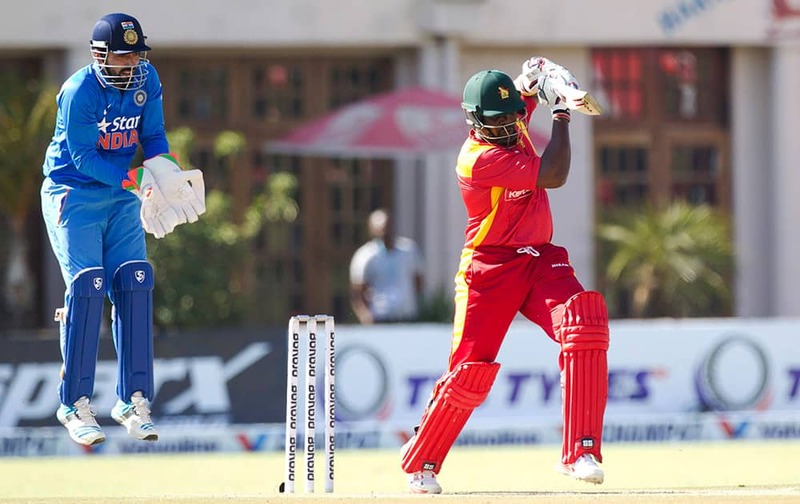 Stuart Binny plays a shot while Zimbabwean wicketkeeper Richmond Mutumbami looks onduring the first One Day International against Zimbabwe in Harare. 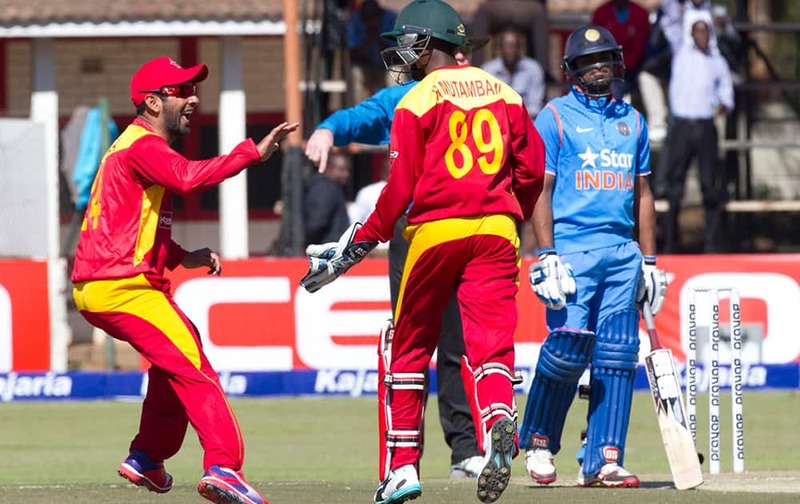 Zimbabwean players Sikanda Raza and Richmond Mutumbami celebrate the wicket of Indian batsman Kedar Jadhav after he was caught behind during the first One Day International between the two teams in Harare, Zimbabwe. 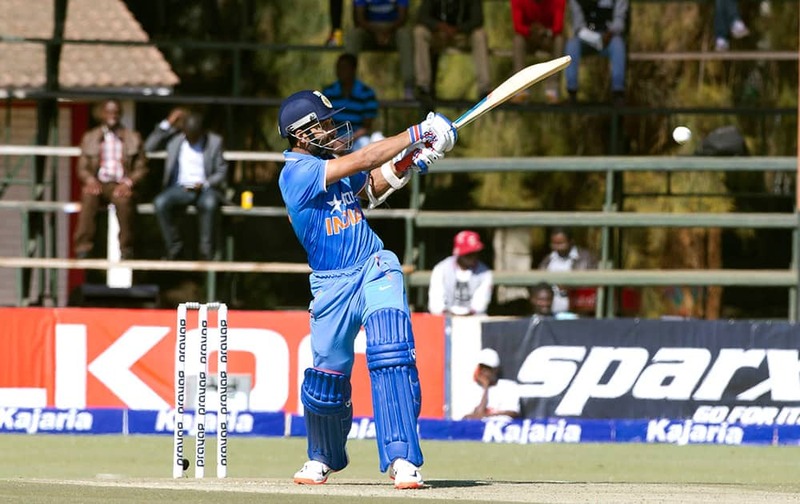 Ajiknya Rahane plays a shot during the first One Day International against Zimbabwe in Harare, Zimbabwe. 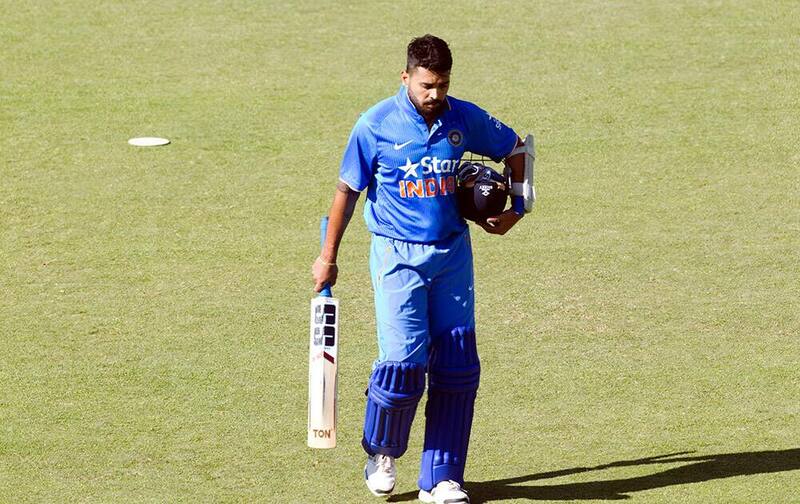 Murali Vijay walks off the pitch after been caught during the first One Day International against Zimbabwe in Harare. 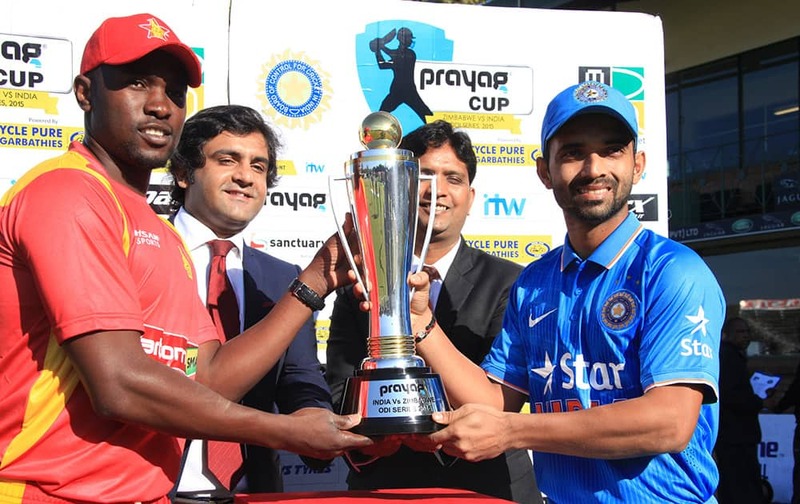 Zimbabwean captain Elton Chigumbura and Indian cricket captain Ajinkya Rahane hold the trophy before the first One Day International between the two teams in Harare, Zimbabwe. 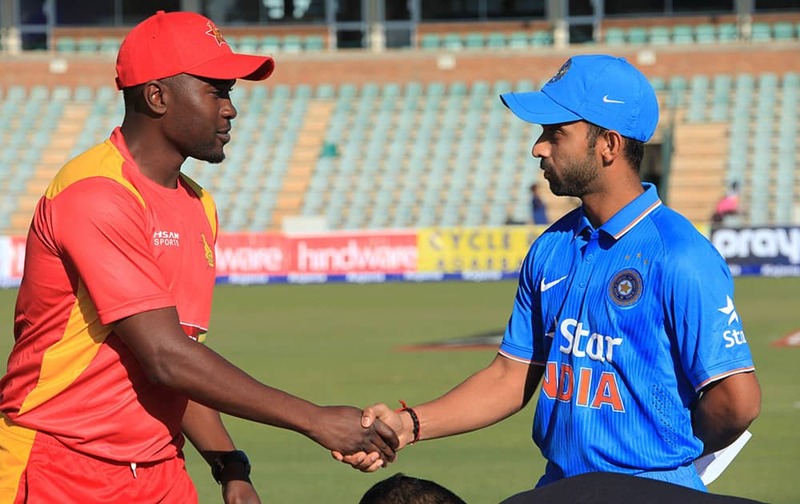 Zimbabwean captain Elton Chigumbura and Indian captain Ajinkya Rahane shake hands after the toss during the first One Day International between the two teams in Harare, Zimbabwe. 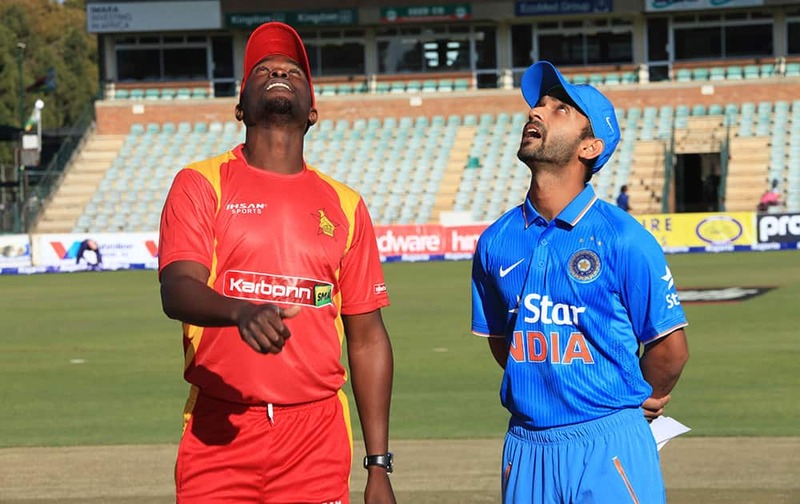 Zimbabwean captain Elton Chigumbura and Indian captain Ajinkya Rahane attend the toss during the first One Day International in Harare, Zimbabwe.